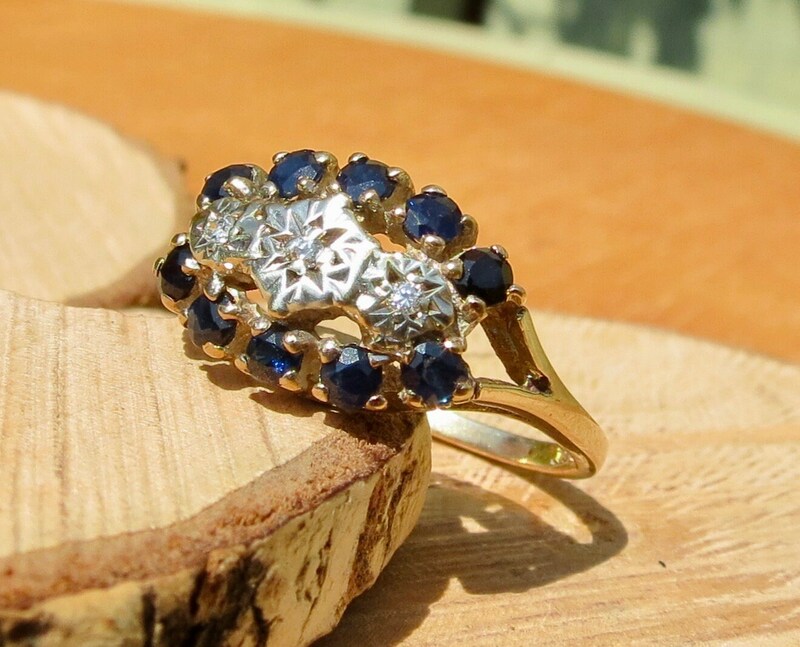 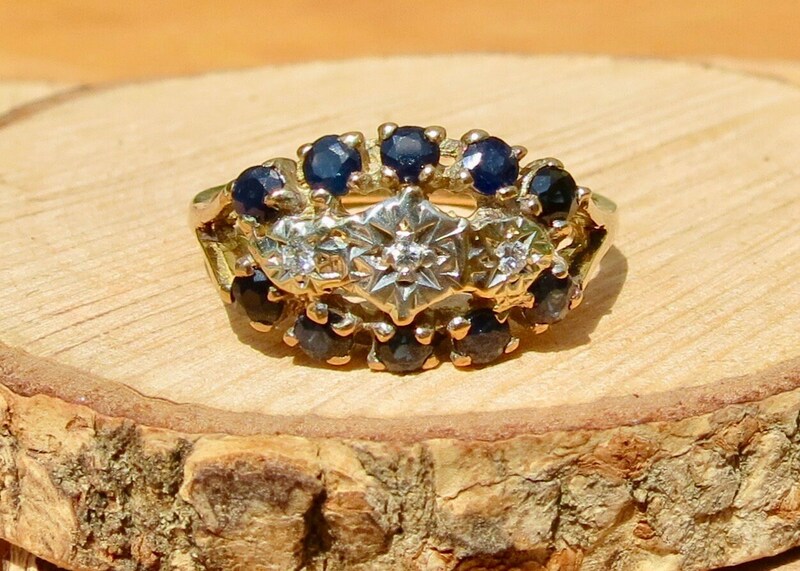 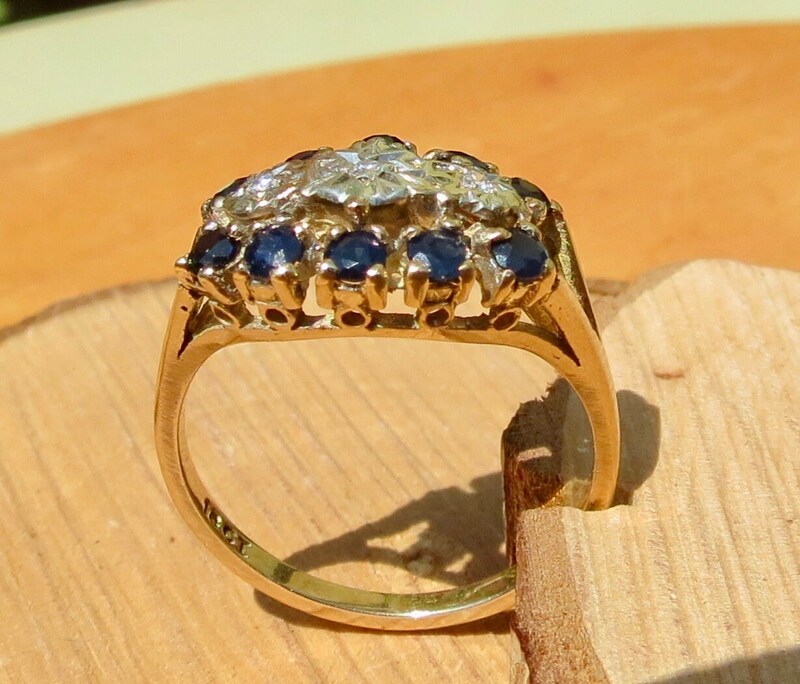 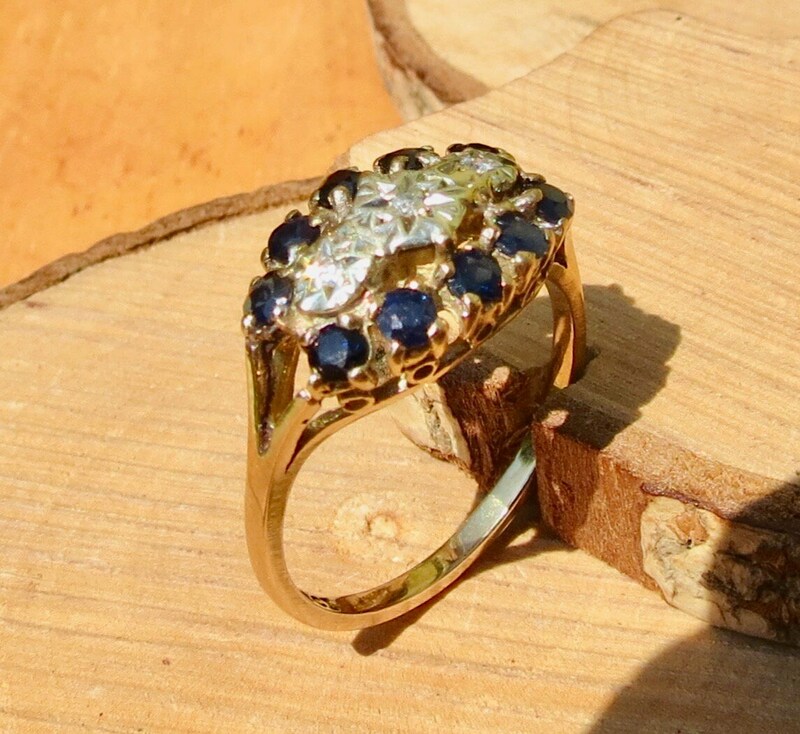 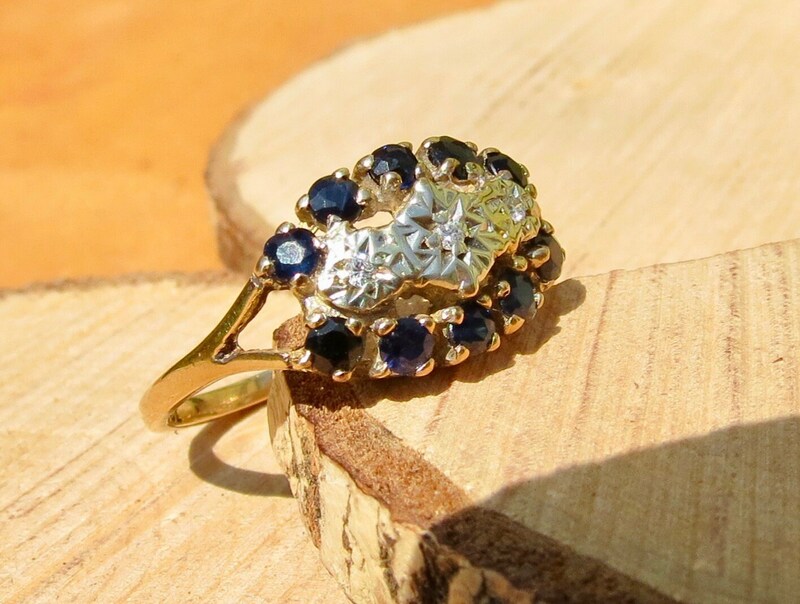 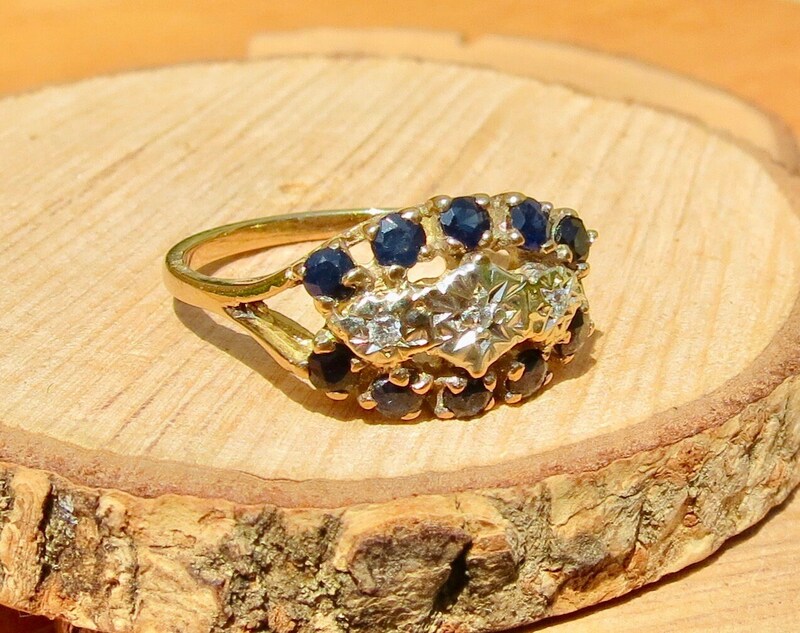 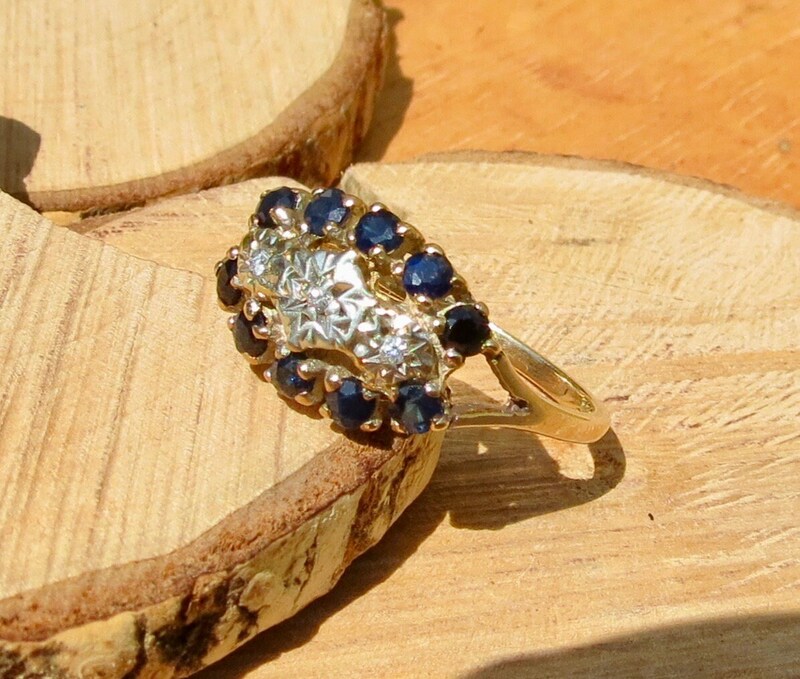 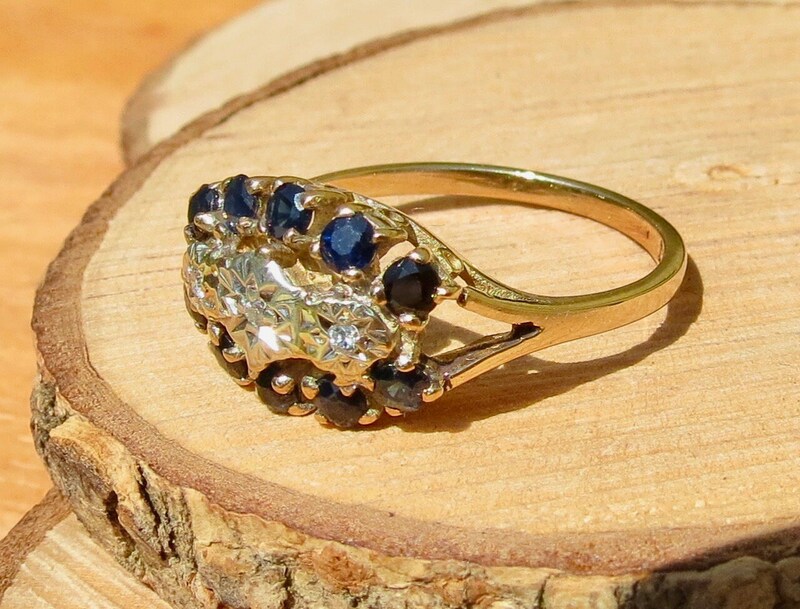 This 18k yellow gold ring has three brilliant cut diamonds in a star illusion setting surrounded by a cluster of 10 sapphires. 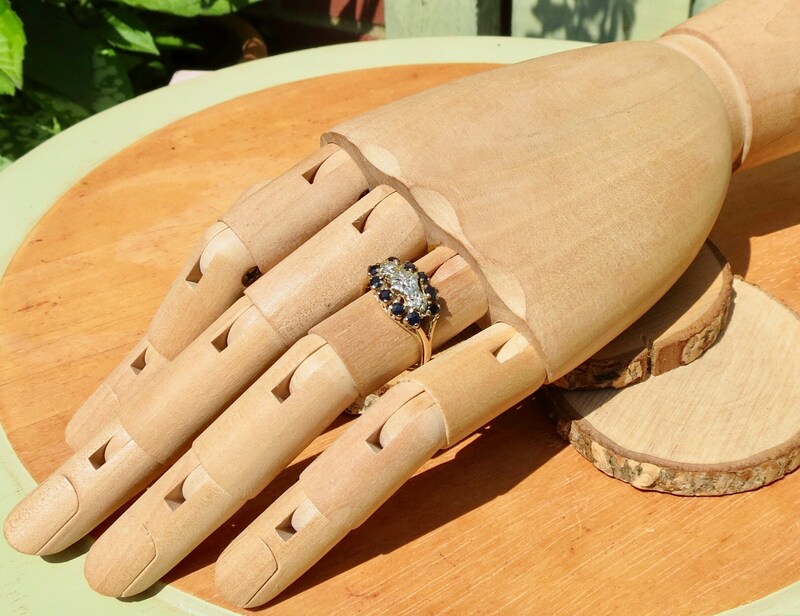 The setting has a decorative gallery and is mounted on split shoulders that lead to a plain with shank. 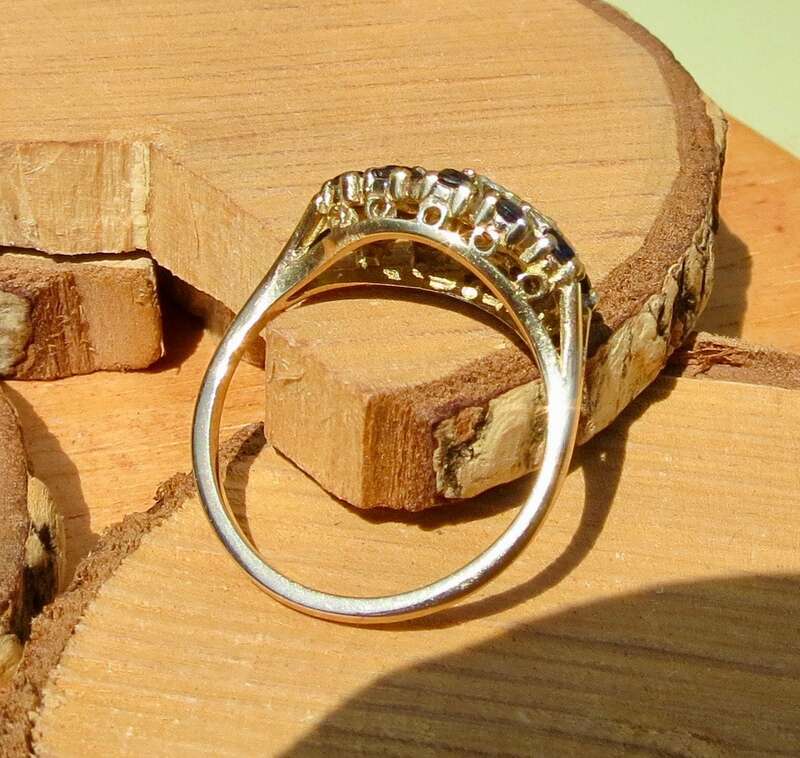 The setting is 2/3 inch (16mm) long and 1/3 inch (10mm) wide.